STV has become the latest victim of high demand for internet viewing as thousands of viewers attempted to stream Tuesday evening's Scottish Referendum debate between Alex Salmond and Alistair Darling via the STV Player. 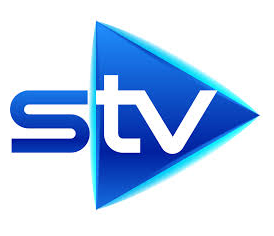 For one night only, the STV live stream was made available to viewers outside of its Channel 3 licence area, which covers Central and Northern Scotland, but within a short time, viewers were encountering difficulties. Taking to Twitter just minutes after the special programme started, STV said: "For those having problems with the STV Player at the moment we are aware of this and are working hard to fix it." Viewers in the south of Scotland were given access to the debate on ITV Border Scotland, which is available on Freeview and YouView, but not on satellite. The STV Player will allow users outside of STV's terrestrial coverage area to access a catch-up of the debate shortly after it has ended. The debate is being repeated on BBC Parliament on Wednesday 6th August 2014 at 7pm across the UK on Freeview channel 81, Freesat channel 201, Sky channel 504, Virgin Media channel 605, Wight Fibre channel 26. STV joins a lengthening list of broadcasters who have suffered from internet streaming problems at times of high demand. ITV suffered at the beginning of the FIFA World Cup in June, when its ITV Player couldn't cope with the number of users. Sky's NOW TV crashed on the last day of the Premiership and suffered from high demand during the latest series of Game of Thrones. Most recently, the BBC iPlayer was offline for almost an entire weekend.